A New Angle on Noah’s Ark: What Would You Give? One of the first lessons in the story of Noah is that he put God first in his life. He focused on his vertical relationship with God and gave it priority over himself. One of the first tests he had to win was over his own flesh in submission to God. He had to reach a place of willingness to turn loose of his possessions, showing he possessed them and not the opposite, as many of us do by letting our material things possess us. He had to trust God more than riches. Secondly, he put God above his wife and kids. Building an ark was a big project. Husbands feel the need to care and provide for their family. I can’t help but wonder if his wife and kids doubted him along the way. I can visualize them challenging him daily, concerned he was going to completely squander their life possessions. Noah had to trust that if God was taking him away from his family to build something for Him that God would provide the things he couldn’t be there to provide for his family himself. Noah also had to overcome any naysayers and stay focused on the instructions he had received directly from God. Noah gave all he had. When the earth flooded, everything Noah had worked for across generations was destroyed. The bible said Noah was 600 years old when the rain began to fall. The blessings, blood, sweat, tears, and toil for all those years were consumed in this single judgment of God. Noah held nothing back in the form of homes, equipment, currency, or raw materials to build his ark. Daily, people witnessed him cutting, trimming and burning his trees to build the ark. Every day for years, he sacrificed the abundance of blessing God had poured into his life. I can see Noah working his tree farm for six hundred years as a profitable business and seeing God multiply his wealth until he was a very successful man. 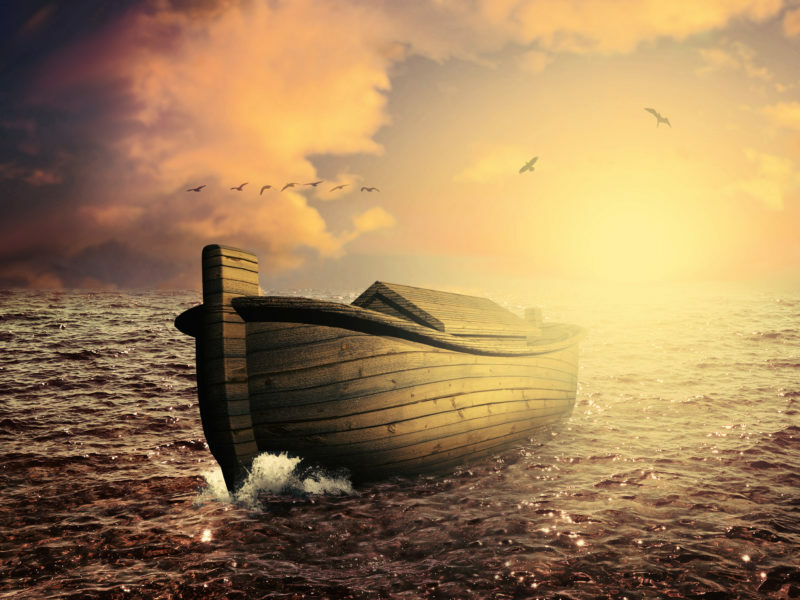 God required all that Noah had accumulated for the 600 years he’d been alive before God told him to build the ark. Yes, Noah gave it, but God required it. The entire earth was covered with water and submerged under water. Every living thing on the earth had to die. If there are things coming between you and God, He may very well require that those things have to die. Because of his obedience Noah got it all. Do you realize when he stepped off the ark all his eyes beheld was his and his descendants forever? By giving all he had, he ended up inheriting the whole world! Had he held on to his stuff, he would have lost it in the end. Noah and his family would have died along with the rest of mankind in the flood. By trusting God, he saved himself and his family and they got it all. The final lesson to see is that whatever our lot in life, when we allow God to have what He asks for and often times requires of us, He sends even more back to us!